If you want to make a potent, healthy weed edible at home, then this coconut butter recipe is a perfect idea for you.By the time you are through with this article, you will be your own expert at making this wonderful product, and of course you will have to reward yourself by eating it! Other than getting your high, the creamy, tasty coconut butter infused with brain-friendly fats, micronutrients, and immune boosters for weight management and other uses. If you missed this on Christmas, make sure to prepare it for Jan. 1, when we will be celebrating New Year, and recreational pot legalization. Coconut butter is very common in cannabis infusion thanolive oil and other oils because it has a very high concentration of saturated fats (fatty acids). 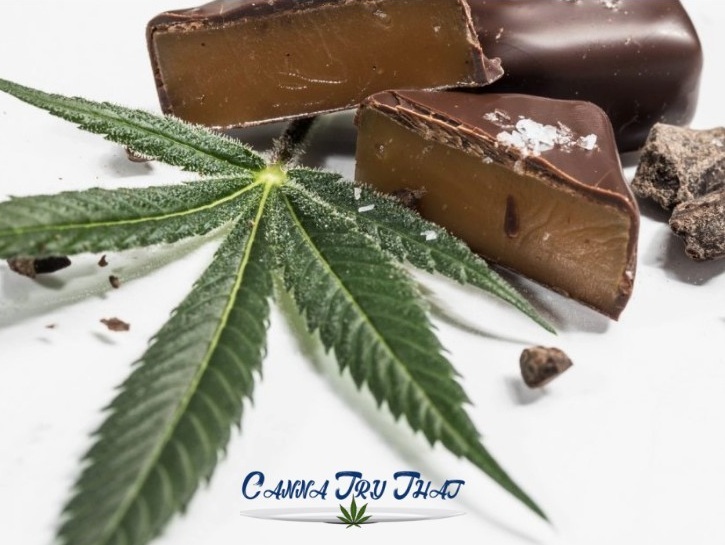 The fatty acids in the butterincrease the binding of cannabinoids to it. This means it will retain more cannabinoids during the extraction process, giving the end product more medicinal properties. Coconut butter is so far the best medium for cannabis infusion. Other than fatty acids, coconut butterhas several beneficial acids which have positive health benefits for humans. An example is Lauric acid which upon ingestion is digested to create a monoglyceride with antimicrobial properties. No other base can be healthier than coconut butter/oil. Also, cannabis-infusers prefer coconut butter/oil because the end products remains solid at room temperature, which is a very important factor considering its use a tropical agent. This solid state also allows it to be put in gelatin capsules for storage, which is a very popular and effective method cannabinoid distribution. Any willing person can buy ingredients from online dispensaries and make gelatin oil capsules at home without any special skills. You are to take a maximum of half a tablespoonful of the final product every 3+ hours. The shelf life of this product is up to one year. Note that this recipe is not for a single serving for one person. Combine the coconut butter and the cannabis in a small saucepan over the lowest amount of heat possible as the melting point of the coconut butter is 76° F (24° C). If you are a weed-pro, use 40 grams of cannabis. Wait for the coconut butter to simmer, and let the mix simmer while stirring often for an hour or so (the simmering process should be done carefully). If using a crockpot, let the mixture simmer for 3-4 hours. Your canna butter may turn green due to the chlorophyll present in cannabis. The color intensity may vary but is not indication of the strength of the canna butter is. Turn off the gas and immediately start the straining process (before the butter starts to solidify). Use cheesecloth in a sieve over the measuring cup. Using the sieve alone won’t effectively filter. Place two layers of cheesecloth in the sieve and place it over the measuring cup. Gently pour the cannabis and coconut butter mixture into the cheesecloth. Allow it an hour or so to drip, then squeeze out the rest using your hand. It is up to you to decide what to do with the residue. You can even dispose of as the important ingredients are in the canna butter now. Pour the filtered canna butter into the bowl and leave uncovered and let it solidify at room temperature (to avoid condensation forming in the, make sure not to cover). When is has sufficiently cooled down, close the container and refrigerate or store in a cool dark place (has a maximum shelf life is one year). The mixture should be lighter upon solidification than during simmering (unless you poked it too much or simmered for too long, it should be light in color). You can use the butter in edibles or consume on its own. In some cases, you may have to warm so it can spread evenly. Recommended serving is up to half tablespoonful at 4 hour intervals. You can adjust the dosage depending on how your body reacts. This will also give you a baseline of edibles for the next cooking. Be aware that this is no ordinary butter, and you need to eat slowly for the effects of the cannabis will start kicking in around 15 minutes. There are plenty of uses for this butter, if you are not creative enough, we have some few ideas. Use it to make edibles, be sure to try recipes you are familiar with. By knowing the number of muffins, cookies or other products a recipe produces, you will be able to calculate the amount of THC per service they will contain. You can also eat it raw or spread on bread and other foods. If you are the generous type, you can even send to other stoners, which we highly recommend. Happy stoning!